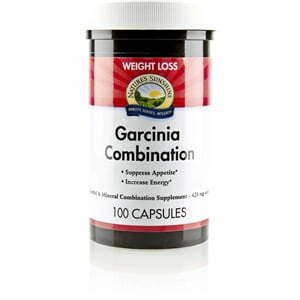 Nature’s Sunshine Garcinia Combination assists the body in regulating blood sugar. Garcinia cambogia, the key ingredient of the Garcinia Combination, is rich in hydroxycitric acid. In addition to garcinia, chickweed, l-carnitine, and chromium join forces to promote proper weight management, move long-chain fatty acids through the body, and support proper blood sugar levels. Nature’s Sunshine uses garcinia that is standardized to 50 percent hydroxcitric acid. Instructions: Take two capsules one half-hour before meals three times daily.